OTM is an expert system that is simple to use. for making the best of your start with OTM. "Getting started with OTM" is available in three languages. Maintaining confidentiality agreements "Quality assurance with OTM"
Our middleware tool, the "OTM SDL Trados Studio Connector", makes quotation calculation even easier. Install this little application on your computer with SDL Trados Studio Professional, and project files are taken directly from the Online Translation Manager (OTM) and passed to SDL Trados Studio, where a project and/or packages and translation memories are created automatically. Existing TMs can be used for the analysis of the source files. 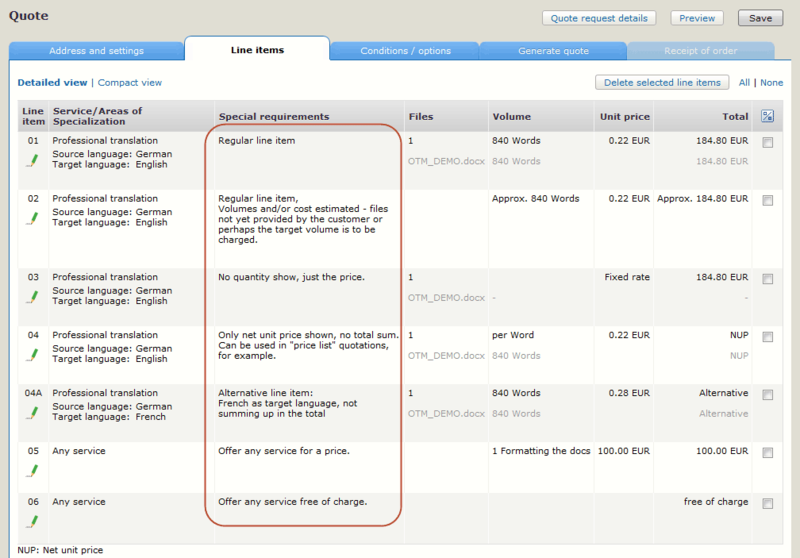 The Connector uploads the analysis files produced by SDL Trados Studio to the relevant project in OTM, where the features for quotation described above and further quotation options can be applied.